This oddity was designed by Allen Jones in 1969. Constructed of painted plastic and mixed media, if you want to get a closer look at it head over to the Tate Gallery in London. Exhibit A is the 1960s Female Form Fiberglass Chair ($10,500), a chair that proliferates the animal-hide trend, and takes the classic Louis XV chair to a "sensual" level — kind of like a dirty version of Philippe Starck's Louis Ghost Chair. 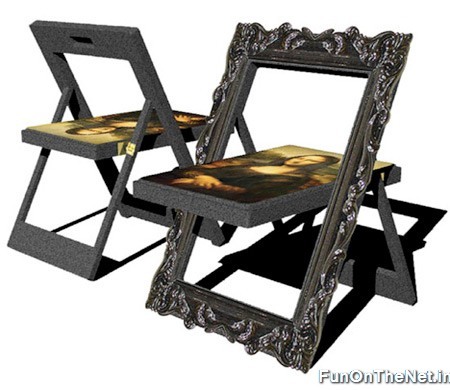 A Mona Lisa portrait that can be transformed into a chair (or the other way around) is a total space saver. 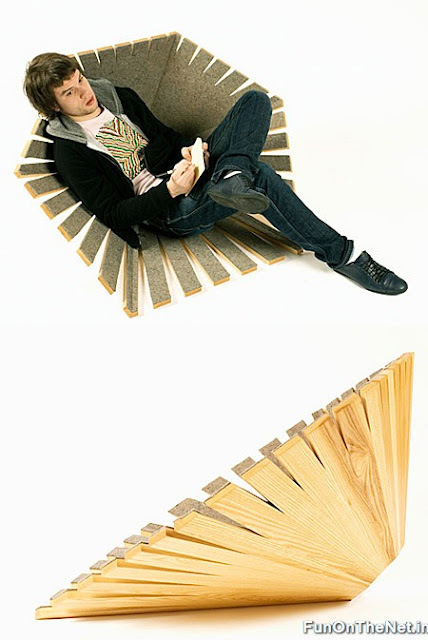 It acts as a chair, and when unused, you can flip it up and hang it on the wall to save space. Perfect for art lovers with small apartments. 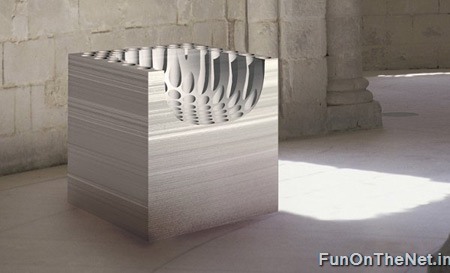 This concept is by Korean designer Kwang Hoo Lee, who turns chairs into works of art for a living. 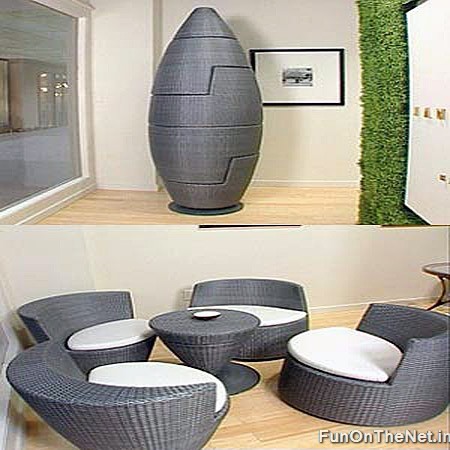 Creative Mars and Venus chairs designed by Mahdi Naim. 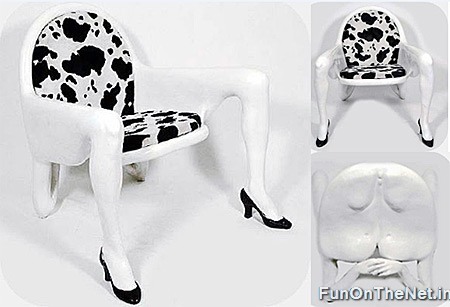 This bizarre chair is not your usual chair design. 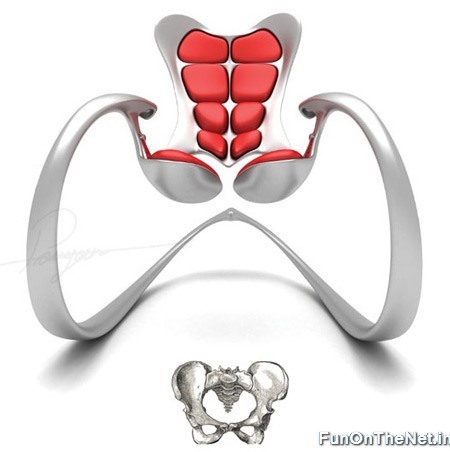 This chair design called the Pelvis Rocking Chair would be a nice addition if you were a collector of chairs with unique designs. Inspired by Lewis Carroll's Alice in Wonderland, Holly Palmer has designed this unique stool that looks like a giant tea cup. 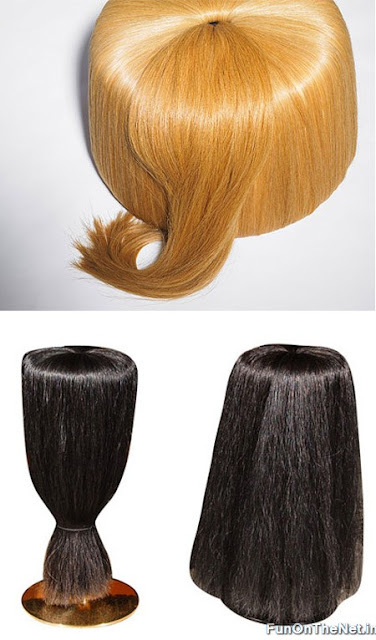 The PrettyPretty seating series designed by Degana Kailjo are, according to the designer, “Pretty heads to sit on.” The PrettyPretty seating series is hand made out of horsetail hair. Due to the character of the material each piece in this limited edition series is unique; they are also signed and numbered. I know it may look like a hairy dog, but this wonderful chair was presented in the Maison&Objet fair in Paris on September 2007 as a part of the Ecological trend. 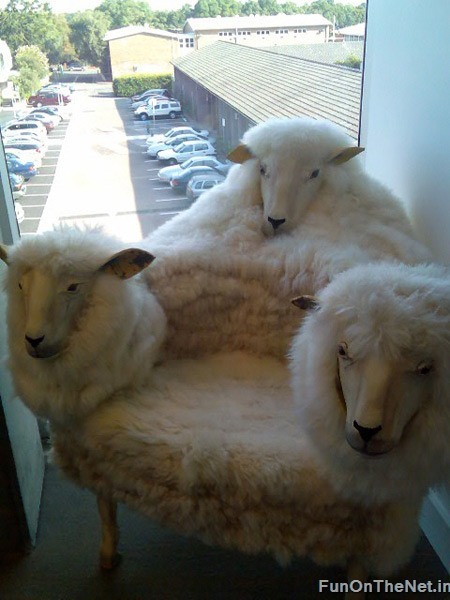 This "hairy chair" (or sculpture?) is made of very fine cut paper by the Architect/Designer Charles Kaisin from Brussels. 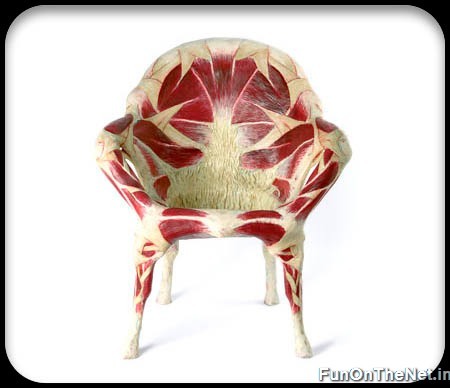 Little in the way of information is available concerning this rather hauntingly styled meat chair except to say that, the brainchild or Italian designer Simone Racheli's chair is made from plastic and finished to resemble a series of muscles and tendons. Creative chair by designer Ania Wagner is made from sustainable wood and lined with a cultivated industrial felt. 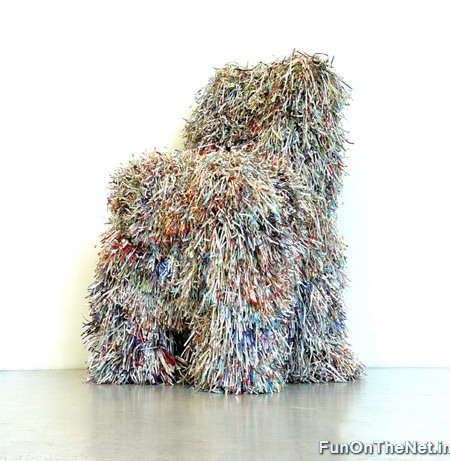 The Polish design team razy2 made a chair that's built like a stack of sticky notes. The Q-Book is composed of sheets of paper, carefully cut, that are attached on one side. If you need something to write on, just tear off a sheet. This would just freak me out if I saw it at someone's house. Some restaurants change their cutlery as often as every nine months. 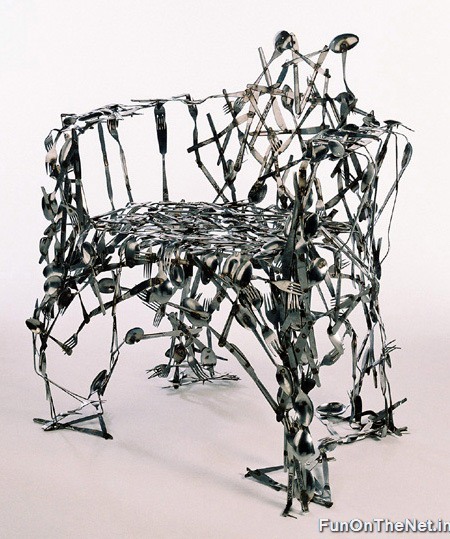 The Cutlery Chair utilises these hard to recycle, unwanted cutlery pieces as building blocks to create truly unique pieces of functional furniture. 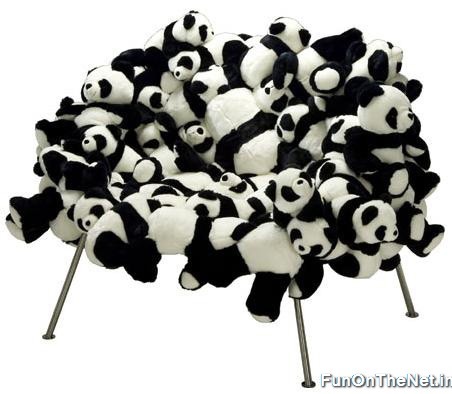 The panda chair was designed and created by Brazilians Fernando and Humberto Campana in a numbered and limited edition of 25 chairs. This is how I want to go grocery shopping! 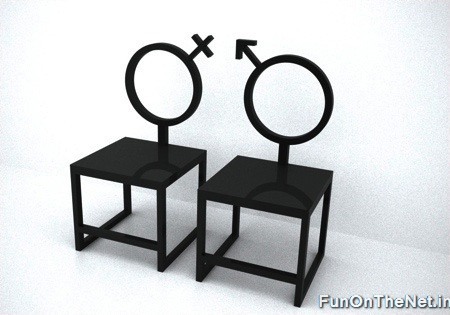 This anthropomorphic chair was designed by Sergio Gill. 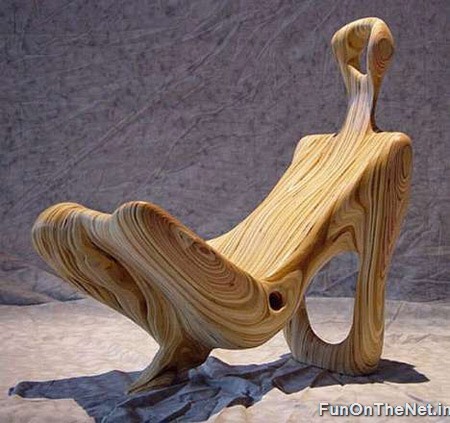 The funky chair which made it to the IWF Design Emphasis Competition resembles a reclining female figure. Gill used a software program that scanned the female body then translated it into another stylizing software program called AlphaCAM. Finally, Gill used a birch plywood model with a tung oil furniture finish. 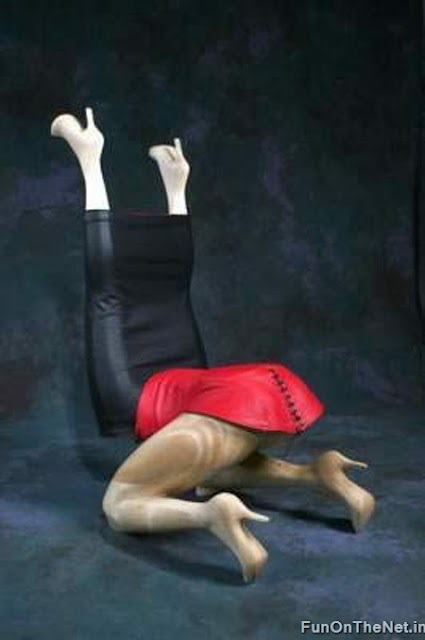 This is definitely the most risque in our series of weird furniture: The 4Legs. 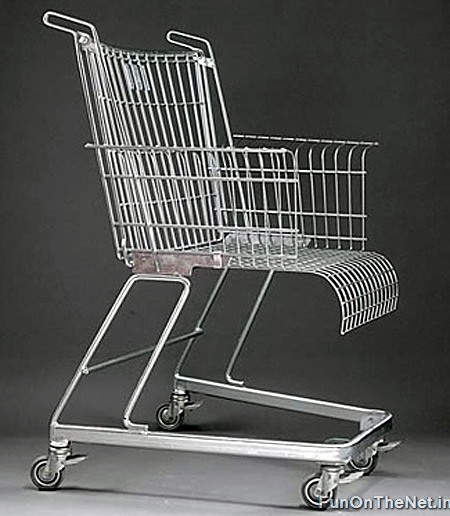 A self-described "provocative chair" by the Dutch designer Mario Philippona. Undoubtedly not for the faint-hearted, or for an average living room, though the designer's own description encourages it to be "used as a single piece to cheer up your living room" and claims to be "more comfortable than most designer dining chairs." Gives a new meaning to 'bums on seats'.